Before making a pot of tea, one should first know the characteristics of the tea. Thus, one can choose the most appropriate brewing technique suitable to a specific tea to bring out its best quality. Tea quality is affected by various factors, such as weather, the land and the grower. How much tea should be put into the pot depends on the specialty of each kind of tea as well as the brewer's habits. Generally speaking, the standard amount (the amount used by the professional tea brewer when brewing a pot of tea) is 3 grams of tea brewed with 150 cubic centimeters of water for 5 minutes. 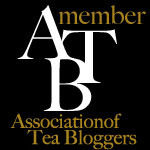 The ratio of water to tealeaf depends on the quality of tea and the drinking method. Generally speaking, famous tea or top-grade tea requires a ratio of 50:1, and ordinary black, green, white and scented tea 75:1. The ratio of water to Oolong is 25:1. When brewing tea, one should pay attention not only to the tealeaf's shape, color, scent and taste but also to the teapot's quality and artistic design to set off the elegant tealeaf. Generally, a big teapot is chosen when one wants to satisfy thirst while a small pot is used when one desires to taste and appreciate the tea. Tea of top quality should be brewed with top-grade water to bring out its best. Longjing Tea (Dragon Well Tea) and Hupao Spring (Tiger Spring) are known as the two superb products of Hangzhou City. Even though the tea-brewing water deserves careful study, one should bear in mind the actual condition when making tea. Water, which reaches drinking standards and will bring out the best of tea, can be chosen to make tea. If conditions allow, one can use natural spring water or lake water or river water, which is a better choice for sure. Generally, people use boiled water to brew old tealeaves, while cooling down the boiled water a little bit to brew tender tealeaves. For example, top-grade green tea and some famous kinds of tea, which should be picked when they are tender, cannot be brewed with boiling water. So one should wait until the water temperature cools down to about 80 degrees Celsius. 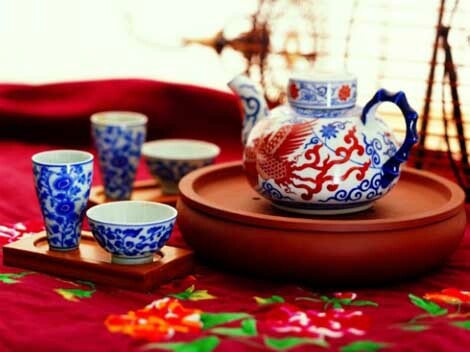 In this way, the tea will have clear water, a pure scent, fresh taste and brightly-colored leaves. Generally, brewing time should be short for those tender and strongly-scented tealeaves of a large amount, while a long brewing time is required for coarse and strong-tasting tealeaves of a small amount. For those who like drinking strong tea, its better to brew the tea for a longer time; for those who prefer a weaker taste, its better to shorten the time.